to Sacred Chef secrets and recipes.. my collection of recipes and writings, gathered over a lifetime of cooking and teaching. What is the whole Sacred Chef thing? Well, what is more sacred than feeding the hungry and satisfying our body’s need for nourishment? Cooking, for me, is very much about loving, providing a means toward physical fulfillment and good health. Cooking a beautiful meal for family, friends and loved ones is an act of devotion. What better way to show how much you love someone? I have always said that cooking is the only kind of Art, that really gets inside you. We ingest the goodness, literally. It is a creative act and it is a labour of love. Sharing a meal, with friends and family, is a sacred occasion, we see each other enjoying the fruits of our working life, through a basic pleasure. Consuming food, tasting, smelling and touching textures with our tongues. It is a simple fact of life, which can be a wonder or a disappointing chore, depending on your circumstances and attitude. I have always taken the sensual pathway to pleasure and eating great food is a big part of this approach to living. Each mealtime is an opportunity to create, lovingly consume and be thankful for. I hope that you, will find some great recipes here to try and perhaps add to your own culinary repertoire. Recipes are like magic spells to incant with your hands, touching, inspiring, chopping, stirring and then serving. The dance of the kitchen, I call it, weaving wonder with saucepans and knives. Good cooking involves a flow of energy, as you engage with matter and time, coordinating the arrival of a number of different elements. For some, this can be a stressful process and the memory of traumatic kitchen experiences permeates their appreciation of cooking. This collection of recipes, also includes some useful tips and suggestions about how these painful situations can be avoided. Of course the essential nature of the kitchen and cooking must be embraced; it is a place of earth, fire, air and water. Meaning that you need to be present in the moment, aware and ready to respond, not distracted and thinking of other things. You cannot daydream in the home of heat and steel. I like to ponder on the fact, that we as human beings, have been cooking for many millennia and that the basic act has not changed that much. One culinary technology, the mortar and pestle, was developed three or four thousand years ago, at least, and we at the pointy end of the cooking spectrum are still employing its services today. Cooking provides us with a chance to step into, an ageless, timeless and universal whirlpool, as we alchemically transform matter and energy into new forms. 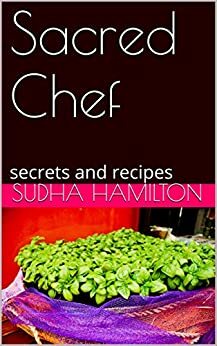 Your cooking experience will ultimately be defined by your attitude towards it - I hope that this book will turn you on to the very satisfying pleasure that comes from sacred cooking, eating and drinking. May the cooking gods smile upon you!